I got tired of always having to search google to remember the syntax for issuing seo friendly (300, 301, 302, 303, 305, 306, 307) Redirects using multiple programming languages and methods... so I made my own list! Am I missing something? Most definately! Please use the comment form below to suggest new code. Redirects to https://www.askapache.com after 0 seconds. These go in the <head> </head> section of your html. LOCATION: Redirect via Header "Location"
REFRESH: Redirect via Header "Refresh"
$starturl = ($_SERVER["HTTPS"] == 'on' ? 'https' : 'http') . '://'. 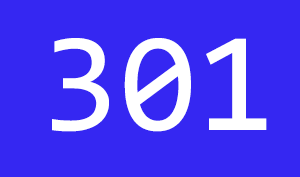 echo -e "Status: 301 Moved Permanently\r\nLocation: https://www.askapache.com\r\n"
Thanks to thebjorn for contributing this first one, which issues a 302 Redirect. This example was contributed by John and shows how to issue a proper 301 Redirect, additional info on this below the example. The constructor takes a single argument -- the path to redirect to. This can be a fully qualified URL (e.g. 'https://www.askapache.com/htaccess/') or an absolute URL with no domain (e.g. '/htaccess/'). Note that this returns an HTTP status code 302. Like HttpResponseRedirect, but it returns a permanent redirect (HTTP status code 301) instead of a "found" redirect (status code 302). The constructor doesn't take any arguments. Use this to designate that a page hasn't been modified since the user's last request (status code 304). The Top Ten New Mistakes of Web Design, by Jakob Nielsen, offers a view of why refresh should not be used for redirecting a document to a new address, as well as other (do's and) don't's on web design. The section 10.3 Redirection 3xx in Hypertext Transfer Protocol -- HTTP/1.1, is the authoritative documentation on HTTP redirects.